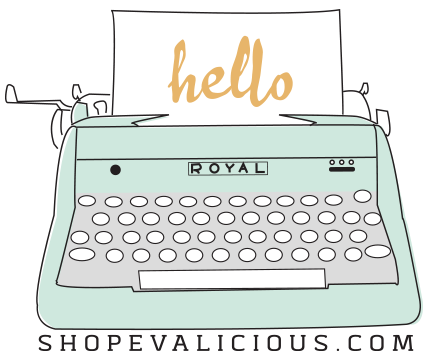 Wendy here to share up my first batch of design team project(s) for Evalicious! I'm SOOOO excited to design for Evalicious as I've been a LONG time fan since she rocked those felt shapes. Yep, wayyyyy back. Ha! But again, thanks Eve and so honored to be among the 'magic 4' to rock your product! As my first round of projects, I decided to make a set of 3 cards. 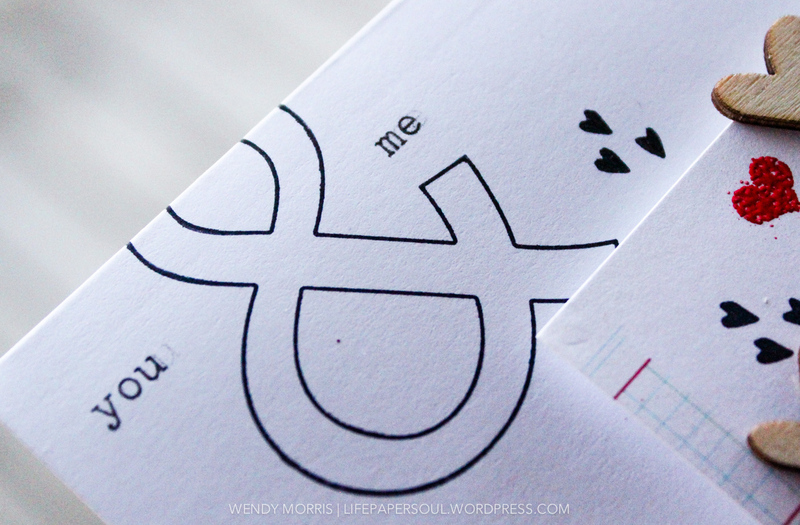 I love making mini type cards and these are in 3"x4" size (when folded). They are also the perfect size to slip into a 'Project Life' style album page protector too. For this card, I was inspired by the Photo Op Stamp Set simply because I'm a huge Canon fan and that camera had me at 'Canon'. Ha! 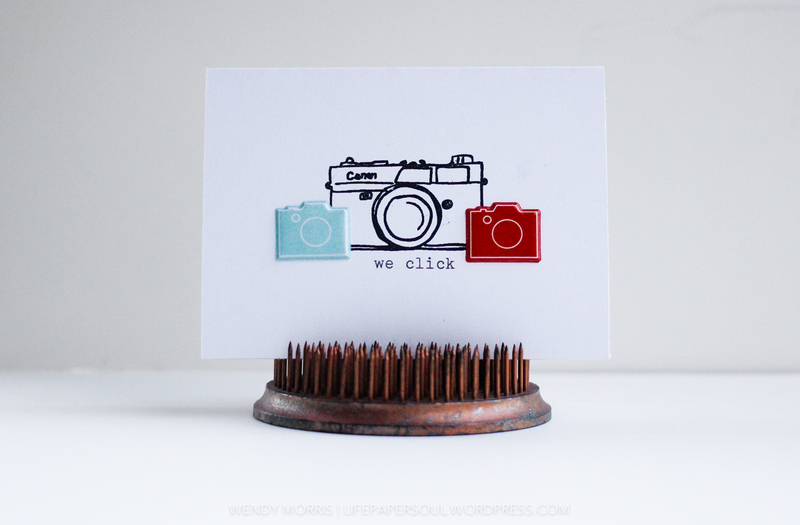 I used the large camera stamp as the center of the card. 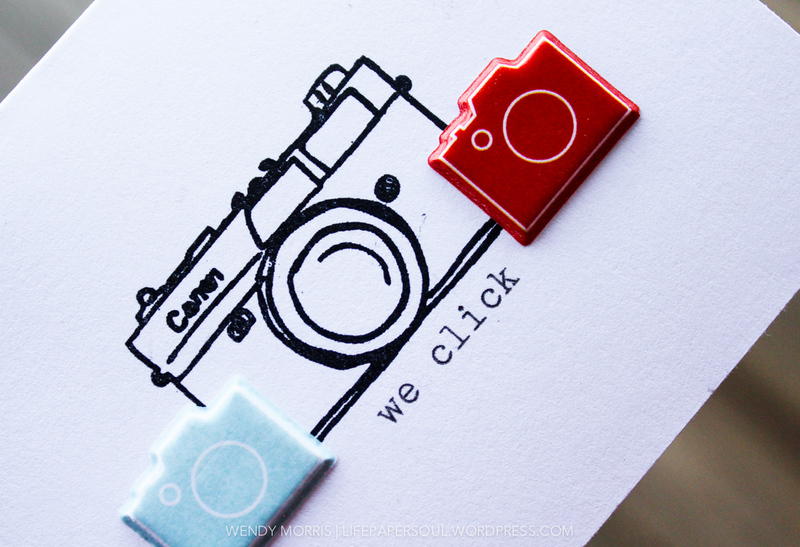 Then I used my vintage typewriter to type 'we click'. As a finishing touch, I added two camera stickers from Camera Love Puffy Stickers. Super love those puffy stickers! 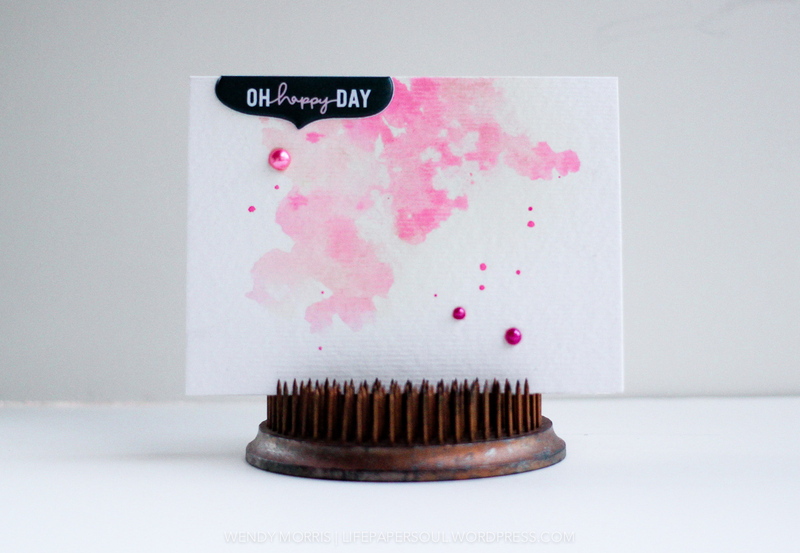 For this card, I wanted a dreamy effect and what better way than with watercolors. I worked my watercolors first and allowed to dry completely. 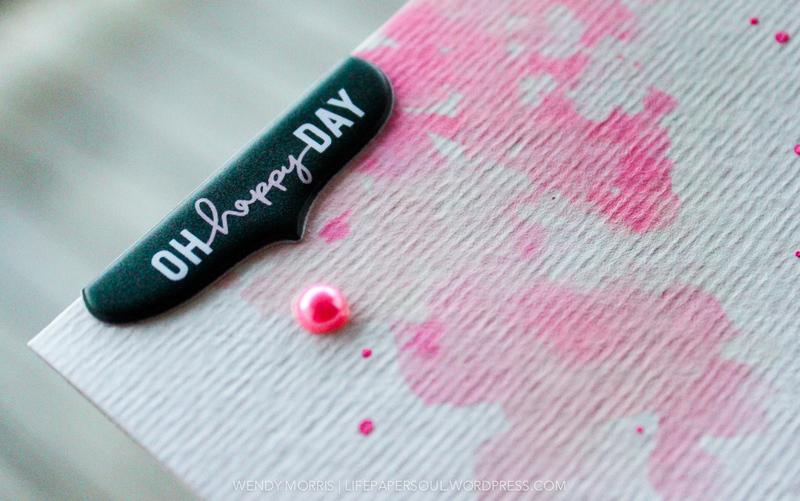 I added the 'oh happy day' puffy sticker from Just Us Miscellany Puffy Stickers V1. Then, some matching pearls to finish off my card. 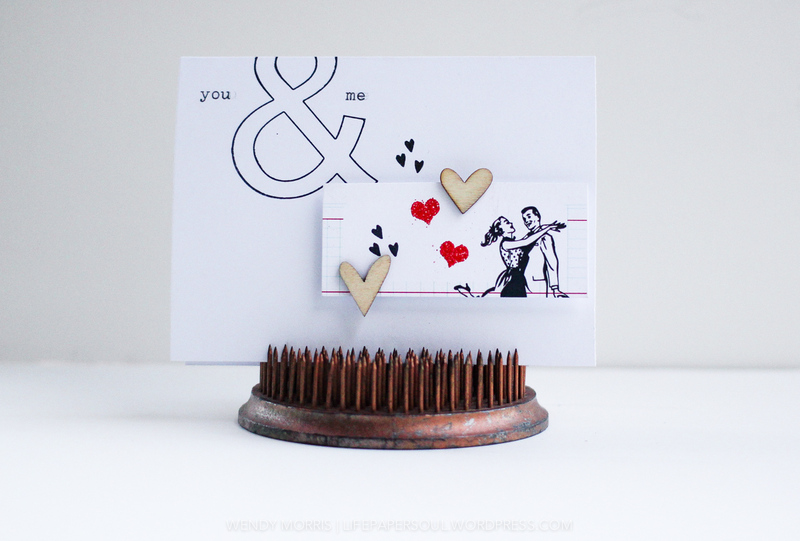 I knew I wanted to use the ampersand stamp from Ampersat & Ampersand Stamp Set. I stamped the ampersand in the upper left corner. Then, I used my vintage typewriter to add the words, 'you' and 'me'. To add an embellishment, I used a label cut from Just Us SnipSnip Labels. Such fun & versatile labels great for cards, project life, and layouts! 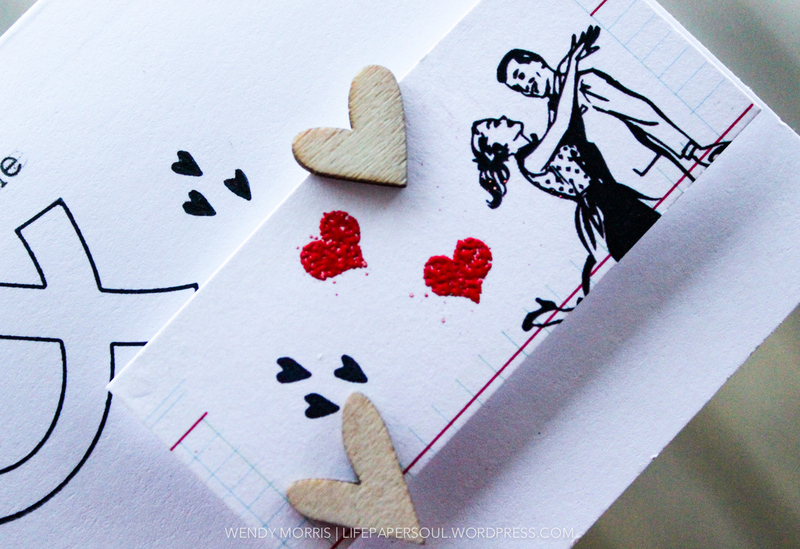 I added some little handrawn hearts in black and then some heat embossed hearts using red embossing power, Versamark ink and the heart stamp from Typewriter Love Stamp Set. As a finishing touch, two wood veneer hearts. I hope I inspired you today with my 3 cards! Wow! Awesome cards! Love your style!